We have been informed that the security forces in the city of Ahvaz have this week summoned seven steel workers – including Mustafa Abyat, Amin Alvani, Karim Sayyahi, Hassan Hamoodi, Tariq Khalafi, Peyman Shajrati and Meytham (Meysam?) Ghanavati – to present themselves to the authorities. We believe that these attempts, aimed at intimidating steel workers from pursuing their just demands, will undoubtedly fail. As long as the problems in this huge industrial complex – the continued successful operation of which is vital to the people of Ahvaz and the whole country – persists and are not properly resolved, the protests will continue. The suppression of the workers is not going to calm the situation. Its resolution should be sought through blocking the influence and control of rentiers and shady “managers” from the country’s political and economic scene along with the sacking and prosecution of those responsible for mismanaging the operation of this once very successful and profitable industrial unit. 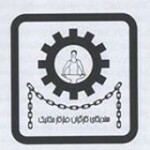 The Union of Metalworkers and Mechanics of Iran stands shoulder-to-shoulder with all 4000 steel workers of the Ahvaz Steel Mill and their families in condemning these summons – and demands instead the payment of the overdue wages and salaries of the workers; the extension of their medical insurance issued by the social security organisation; and the final resolution of the issue of ownership of this strategic complex.